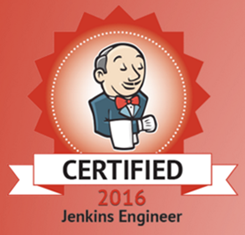 This post covers the section listed below on the Certified Jenkins Engineer (CJE) exam. Jenkins utilizes fingerprints for tracking a specific instance of a file. This is critically important when attempting to determine which particular version of a file was used during a build. The fingerprint of a file is simply a MD5 checksum that can be used for comparing files. An example fingerprint (MD5 checksum) is provided below for reference. The fingerprints are stored as xml files in the $JENKINS_HOME/fingerprints directory on the Jenkins master. The xml file contains the Jenkins job name, build number, MD5 checksum, and fingerprinted file name.